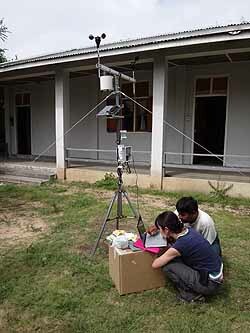 From January 15 to 23, surveys on lacquerware in Myanmar were conducted in Mandalay, Monywa, and Bagan. 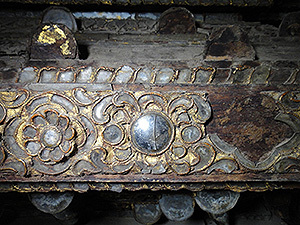 In Mandalay, a portable X-ray fluorescence analyzer was used to ascertain the traditional materials in and techniques used to produce lacquer materials and glass mosaics found in wooden buildings such as the Shwe Nan Daw Monastery. 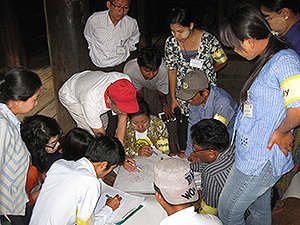 In the suburbs of Monywa, interviews were conducted regarding collection of lacquer ingredients. Results of that survey furthered understanding of the characteristics of lacquer produced in Myanmar, which differs from that produced in Japan. 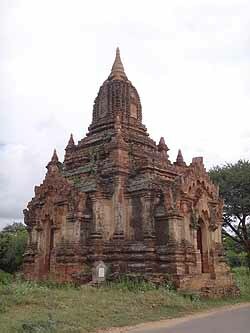 In Bagan, the collection of the Lacquerware Museum was surveyed and lectures on materials analysis were provided to personnel from the Lacquerware Technology College and the Lacquerware Museum. The fact that trainees have a greater understanding of the need to and ways to preserve lacquerware is evident in ongoing cooperation between Japan and Myanmar. 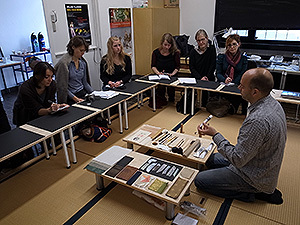 The Japan Center for International Cooperation in Conservation conducted workshops on the Conservation and Restoration of Japanese Lacquer Works at Museum of the East Asian Art, Cologne, Germany from November 2 to 16. The workshops were held as part of the Cooperative Program for the Conservation of Japanese Art Objects Overseas with cooperation of the museum. The workshops targeted students, researchers, curators, conservators, and restorers and were attended by a total of 19 people from 11 different countries including the U.S. and Australia as well as European countries such as Sweden, Portugal, and the Czech Republic. 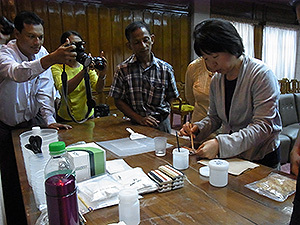 The lectures covered concepts of restoration, materials, damage, survey techniques, and case studies of restoration of lacquer works, while practica consisted of exercises related to various types of conservation and restoration techniques, such as facing, cleaning, consolidation, and pressing of urushi lacquered films. Both the lectures and the practica were very well-received. Based on an idea of Dr. Schlombs, the director of the Museum of the East Asian Art, the museum enhanced exchanges with workshop participants through a tour guided by Dr. Rosch, the vice director. Japanese lacquer works have been exported since the 16th century and have been stored in museums, art museums and palaces all over the world. 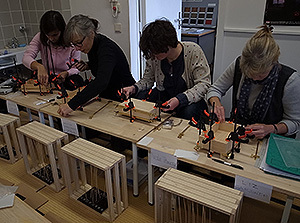 Workshops should help participants gain knowledge and learn techniques to keep these lacquer works safe and pass them down to future generations.